Dr Karen Grylls has been re-appointed as Artistic Director for Voices New Zealand Chamber Choir (VOICES) and The New Zealand Youth Choir (NZYC) while newcomer and Wellingtonian Michael Stewart was appointed as NZYC’s new Deputy Music Director. Karen has been with Choirs Aotearoa New Zealand (CANZ), the organisation managing these choirs, since 1989 when taking over as Music Director of NZYC. In 1998 she founded Voices and became the overall Artistic Director in 2011. The new member to the artistic team is 38 year old Michael Stewart. He is assuming the role of Deputy Music Director, which was held last by James Tibbles, a key figure in New Zealand’s Early Music scene. By his own admission Michael started his relationship with NZYC as ‘groupie’, when his then-girlfriend-now-wife Anna Sedcole was singing in the soprano section. After a short stint in the bass section of NZYC, Michael was the recipient of a Dame Malvina Major Arts Excellence Award and moved to Canada for a Master of Music degree majoring in organ performance. 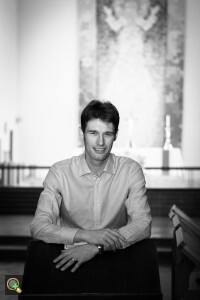 Back in Wellington he became Music Director of The Tudor Consort in 2007 and Organist and Director of Music at the Wellington Cathedral of St Paul in 2011. Both contracts will commence in January 2017 with VOICES being on stage at the Auckland Arts Festival in March and the new NZYC coming together in Wellington for a week-long course in April and concerts on the Kapiti Coast, Featherston and ANZAC commemorations in the city. Choirs Aotearoa New Zealand receives major funding from Creative New Zealand and the New Zealand Community Trust. The New Zealand Youth Choir is sponsored by Infratil.